Previous Post:LEGGE REGIONALE N. 82 DEL 28/12/2015 ART 5 ” CONTRIBUTO A FAVORE DELLE FAMIGLIE CON FIGLI MINORI DISABILI”. Next Post:REFERENDUM DEL 28.05.2017 -ART. 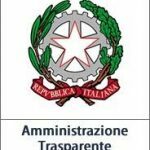 75 DELLA COSTITUZIONE. AVVISO PER ELETTORI ESTERO.